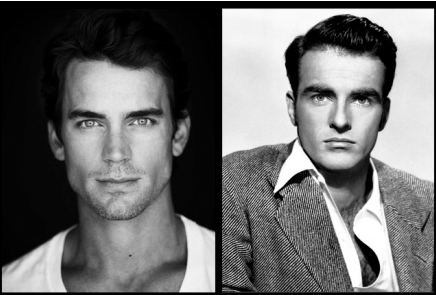 Matt Bomer is soon to return to HBO in the premium cable network’s biopic “Monty Clift”. Bomer, an openly gay man and heartrob to many men and women alike won critical praise for his work in HBO’s The Normal Heart. Ira Sachs and Mauricio Zachariasto to rewrite the script originally penned by Christopher Lovick that centers on the complicated life and hidden gay life of Clift (Bomer), who finds himself deeply involved with a young Elizabeth Taylor following the filming of A Place in the Sun. “To see the kind of intense vulnerability and realism that he brought to his work at a time when that was not the style—it’s profound,” Bomer said in an interview last year. “He knew everything he was feeling inside—or if he didn’t, you wondered, why was he feeling that when the scene was this? To get to portray someone who was so formative to me as an artist would be terrifying and daunting and thrilling. Although the results of Clift’s plastic surgeries were remarkable for the time, there were noticeable differences in his appearance, particularly the right side of his face. The pain of the accident led him to rely on alcohol and pills for relief, as he had done after an earlier bout with dysentery left him with chronic intestinal problems. As a result, Clift’s health and physical appearance deteriorated considerably from then until his death. Elizabeth Taylor was a significant figure in his life. He met her when she was supposed to be his date at the premiere for The Heiress. They appeared together in A Place in the Sun, where, in their romantic scenes, they received considerable acclaim for their naturalness and their appearance. Clift and Taylor appeared together again in Raintree County and Suddenly, Last Summer. Clift never physically or emotionally recovered from his car accident. His post-accident career has been referred to as the “longest suicide in Hollywood history””. Because of his alleged subsequent abuse of painkillers and alcohol. He began to behave erratically in public, which embarrassed his friends, including Kevin McCarthy and Jack Larson. Nevertheless, Clift continued to work over the next ten years. But despite earning a nomination for an Academy Award for Best Supporting Actor for portraying Rudolph Peterson, a victim of forced sterilization at the hands of Nazi authorities in the Stanley Kramer film Judgment at Nuremberg Monty was considered unemployable in the mid 1960s, Taylor put her salary for the film on the line as insurance, in order to have Clift cast as her co-star in Reflections in a Golden Eye. Clift and Taylor remained good friends..
Chick-Fil-A Backpedals, Issues New Statement On Gay Marriage – Would You Like A Side Of Bulls! @t With That?